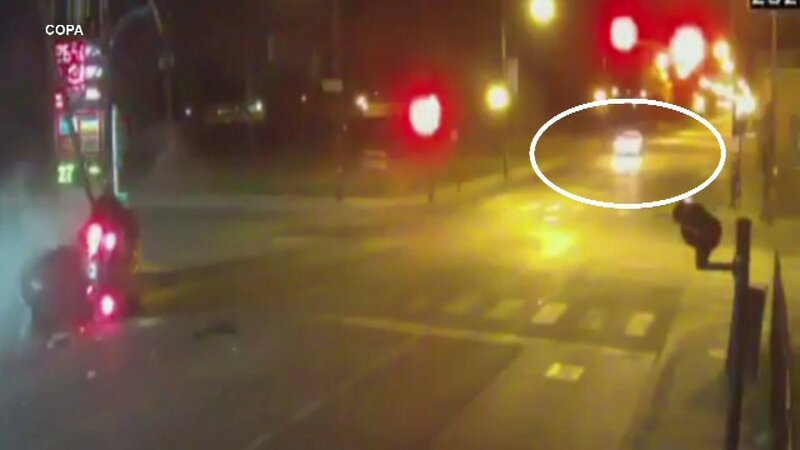 CHICAGO (WLS) -- Chicago's Civilian Office of Police Accountability released video Monday of a police chase and crash that killed two people in June, one of them an off-duty Chicago police officer. Investigators said Officer Taylor Clark was off duty when he slammed into several vehicles and crashed on the West Side. A woman, 27-year-old Cheqita Adams, was also killed. Video shows police pursuing Clark's vehicle, lights on. Officers originally thought it was a car involved in a carjacking because it shared a similar description. It remains unclear why Clark did not stop.